Nokia, maker of mobile phones and annoying jingly tunes, held a big conference this week in London. I wasn’t invited. On the second day, HTC – previously the maker of truly mediocre Windows Mobile handsets and now crowned iPhone-killer-in-waiting – held its own conference just across town. I wasn’t invited to that, either, but I digress. .. and they could play games! Remind you of anyone? 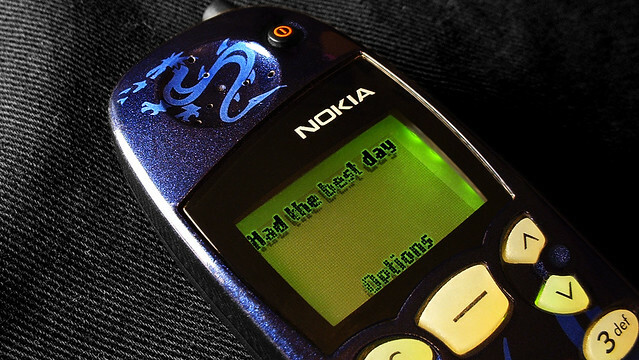 Nokia now is Apple in the mid 1990s, before the iMac, OSX and the return of Steve Jobs. I wonder what’ll happen next? * I like sandwiches. And balloons. Nokia 5110 image by Dominic’s Pics, used under CC license.